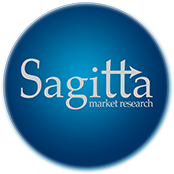 Sagitta Market Research Ltd is an independent full service market research agency. Based in South-East Kent, our main focus is providing clients with high quality face-to-face quantitative consumer research. Established in 1999, we have a long and proven track record in testing clients’ products, concepts and services in a number of ways, including in-venue (hall tests), in-home, in-street and in shopping malls. To offer greater flexibility and provide you with faster results, we can also conduct interviews online with recruited respondents at venues, in their homes or in the street. Areas of particular expertise that we have developed over the years include testing fragrances, packaging, food, beverages, other products, concepts and advertising, as well as carrying out exit surveys at shops, venues and events throughout the UK. Our face-to-face fieldwork coverage is UK-wide and, as a member of the Market Research Society (MRS), all our interviewers abide by MRS guidelines. In addition to our talented quantitative interviewing team, we also have a dedicated team of experienced in-depth interviewers for your qualitative research needs. Our professional team of market research consultants is focused on building strong relationships with our clients and achieving the highest possible level of customer satisfaction. We work with both UK-based and international companies and are committed to understanding and delivering what our clients seek from their market research. If you would like any further information about our quantitative consumer research, please call Sagitta Market Research Ltd today on +44 (0)1303 262259.